Highly influenced by the desolate landscapes and the solitude of long, prairie winters, here comes one of the biggest names in Canadian Blackened Doom with a superb new album narrating a tragic story of a deeply flawed man and his dying daughter. Formed in November 2013 in Regina, the capital city of the Canadian province of Saskatchewan, Blackened Doom act Altars of Grief has worked over the years to develop a weighty concoction of Death Metal, Sludge Metal, Funeral Doom and Atmospheric Black Metal along with a strong focus on storytelling and the desire to convey authentic emotion, highly influenced by the desolate landscapes and the solitude of long, prairie winters that inspired the moniker of “Prairie Doom Metal”. After the release of their 2014 debut fill-length album This Shameful Burden, the band returns in full force with the bold and multi-layered Iris, narrating a tragic story of a deeply flawed man and his dying daughter, named Iris. 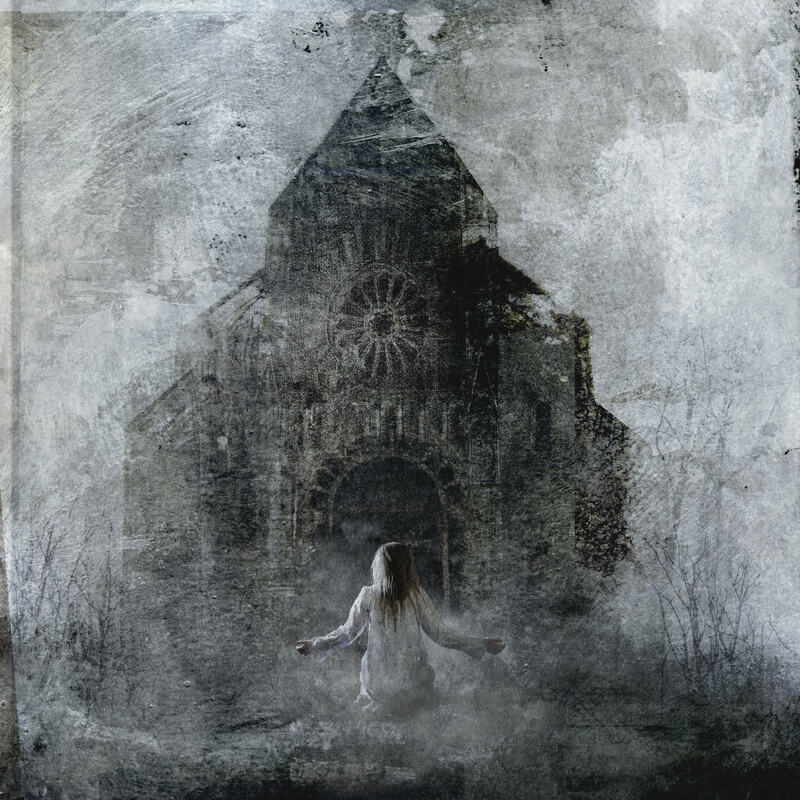 Featuring a stunning artwork by Travis Smith from Seempieces, brilliantly depicting Iris’ final moments as she kneels before the winter beset church and embraces her fate, and the mesmerizing cello by Raphael Weinroth-Browne (who by the way played cello for Canadian Folk/Melodic Black Metal band Thrawsunblat on their amazing 2016 opus Metachthonia), Iris is not just an album of heavy music, but an amalgamation of emotions that will transport your mind and soul to the desolation of the prairies. “The story of Iris is very much rooted in our prairie surroundings and deals with the struggles of addiction, sickness and religion. A father finds himself unable to connect with and care for his young daughter, Iris, who has fallen seriously ill. Spiraling deeper and deeper into his vices, and feeling rejected by Iris’ new found and unwavering faith, he gets into his car and decides to leave her behind. Somewhere along the icy road, he loses control of his vehicle and perishes. His purgatory is to watch helplessly as Iris slowly succumbs to her illness without him”, comments the band’s lead singer Damian Smith. Melancholy and grief permeate the air in the opening track Isolation, a masterpiece of darkness led by the strident and somber guitars by Erik Labossiere and Evan Paulson, while Damian obscurely declaims the song’s lyrics through his anguished gnarls, proving why he’s a poet of the underworld. Hence, the music flows majestically until its grand finale, setting the tone for Desolation, where a Stygian atmosphere is suddenly joined by heavy-as-hell riffs and the crushing Black Metal beats by Zack Bellina, also presenting introspective and touching words (“I opened my eyes / To the night sky / The unending storm / Revealed itself before me / Weightless in my resolve / But, still a burden remains / With this final breath / Please, forgive me”). Moreover, it’s simply impressive how Altars of Grief can sound so distinct from one song to another, also bringing forth a perfect balance between harsh growls and deep clean vocals. The title-track Iris brings forward more of the band’s enfolding musicality, blending the aggressiveness of Atmospheric Black Metal with the obscurity of Doom Metal, also presenting very subtle nuances of Melodic Black Metal. In addition, Erik and Evan once again fire a mix of rage and harmony through their flammable strings, enhancing the taste of this very complete and bold composition. Then we have Child of Light, where an epic and melancholic intro evolves into a full-bodied sound, and with Zack together with bassist Donny Pinay building a massive, atmospheric wall of sounds with their instruments, generating the perfect ambience for all vocal styles used by the band; followed by Broken Hymns, another captivating, neck-breaking tune where Raphael is truly outstanding with his cello, adding a marvelous touch of delicacy and melancholy to the overall musicality. In other words, this is a song tailored for closing your eyes and letting the band guide your mind and soul to their dark and mournful world. And Altars of Grief personify the grievous, obscure voices of the bitterly cold winds of winter in the Atmospheric Black Metal extravaganza titled Voices of Winter, with Damian’s growls being delicately complemented by Raphael’s stunning cello sounds and the whimsical guitars by Erik and Evan, whereas in Becoming Intangible the sound of the cello and the acoustic guitars walk hand in hand in the smoothest way possible before morphing into contemporary extreme music, sounding very atmospheric, gripping and bold until its beyond piercing ending. Zack is once again a beast on drums, not to mention the latent poetry found in the song’s lyrics (“I can barely see the sun / I guess this path was truly flawed / Judgement comes with revelation / And, I’ve never felt so close to God”), flowing into one of the most beautiful outros in underground extreme music, titled Epilogue, performed by Raphael and his always astounding cello. You can listen to Iris in its entirety on YouTube, follow Altars of Grief on Facebook, and purchase your copy of this masterpiece of the underworld from the band’s own BandCamp page, from the Hypnotic Dirge Records’ BandCamp or webstore in distinct bundles (Iris CD, Iris CD + Nachtterror / Altars of Grief – Of Ash and Dying Light vinyl split, Iris CD + shirt + patch, and Iris CD + Nachtterror / Altars of Grief vinyl split + shirt + patch), as well as from iTunes or from Amazon. 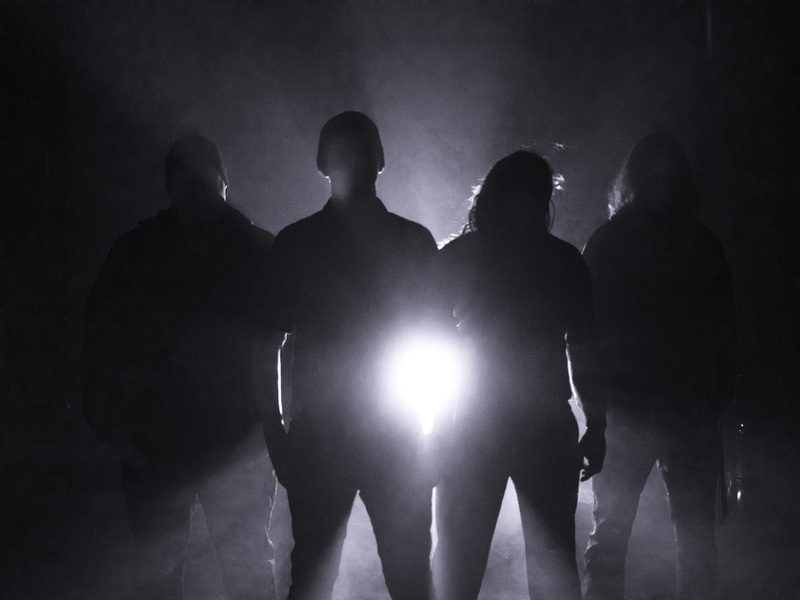 If you were not familiar with “Prairie Doom Metal” before listening to Iris, now you have a very good reason to get to know more about such distinct sub-genre of extreme music. But if Altars of Grief are already a recurrent part of your playlist, the emotional story told in Iris will simply make you even more addicted to their desolate and imposing sounds. Best moments of the album: Isolation, Iris and Broken Hymns. This entry was posted in 2018 New Releases and tagged altars of grief, atmospheric black metal, black metal, blackened doom, broken hymns, canada, damian smith, desolation, donny pinay, doom metal, erik labossiere, evan paulson, funeral doom, hypnotic dirge records, iris, isolation, melodic black metal, prairie doom metal, raphael weinroth-browne, regina, saskatchewan, seempieces, sludge metal, travis smith, voices of winter, zack bellina by Gustavo Scuderi. Bookmark the permalink.